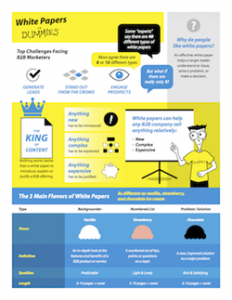 This infographic briefly sums up about 100 pages of my book, White Papers For Dummies. With these insights, you can quickly pick the perfect flavor for your next white paper! Download the infographic now, free!